We have all at some point bowed down to the voice of our critics and enemies. The people who don't believe in us or what we do. Their voices are the ones we often remember and never forget. And we've all made our share of mistakes in our lives. Mistakes in our relationships and careers that held us back. All of us have our share of failures to go along with our mistakes. We had an idea, we tried it, and it failed. We sat there with our palm in our face thinking that maybe our critics are right. And it could be at some point we gave up. We quit a job. We quit a friendship. We distanced ourselves from others. All of us collectively come to Easter Sunday with a sense of our dignity has been stolen from us. We have trailing behind us a tremendous amount of shame that we bowed down to our critics and failed. The beauty of this celebratory season of Easter (yes... Easter isn't just a day... it is a season... if Lent gets a season... I think Easter should as well!) is that although life can have some deep valley's... we celebrate together that those valleys aren't the end of us. And they aren't the end of you. Every one of us... including Jesus... has critics... has enemies... has failures (yes Jesus had some failures...) but the narrative we tell is a narrative that has an unlikely ending. An ending that doesn't end in defeat but in victory. And oddly enough we have to tell ourselves when we are in the thick of the valley that it isn't the end of our story. Just like Jesus' story... and our story... has a beautiful, unlikely ending. 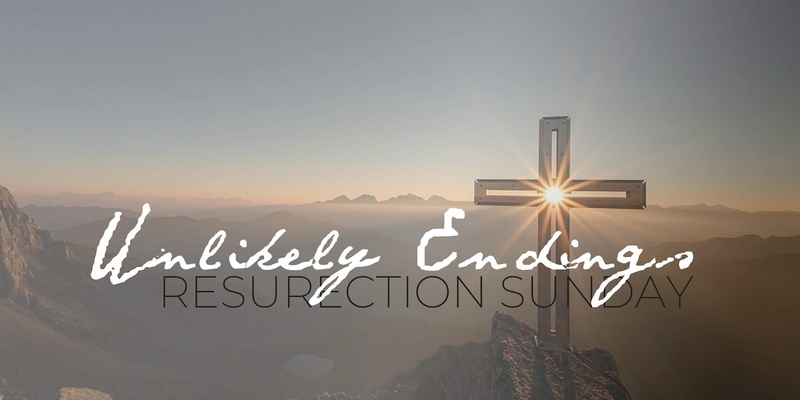 Looking forward to lifting our heads up from Holy Week and celebrating the ways in which God's resurrection power is at work in our own lives. "Blessed is the king who comes in the name of the Lord!" these are the words that the crowd spoke in unison as Jesus came by riding on a donkey. The difference between us saying these words and this crowd is that we say them with no real consequence. There is nothing for us to lose when we say these words... but for this crowd, they were risking their lives... more so risking Jesus' life. If there is anything the powerful abhorred was for a multitude of people to have a unison voice that rallied behind Jesus. So the powerful set to make an example of Jesus. To smolder this crowd they beat, spit, mocked, crucified, and finally killed Jesus. Many of us would steer clear of this crowd. We wouldn't have anything to do with this Jesus figure. It would be too personal to see someone we cared about killed and secondly to risk our own lives. We might look at those who are activist as trouble makers. Yet Jesus... yes Jesus... raised up activist. Jesus raised up a united people with a united voice behind a united agenda. No one person can fight for the rights of a vulnerable people... it takes a movement of people united in their cause together. We continue to be a people who seek to love God and others. And Jesus continues to stretch what this might mean for each of us. So when we come together on Palm Sunday and we say together, "Blessed is the king who comes in the name of the Lord!" know that in saying these words Jesus is calling us into a movement. 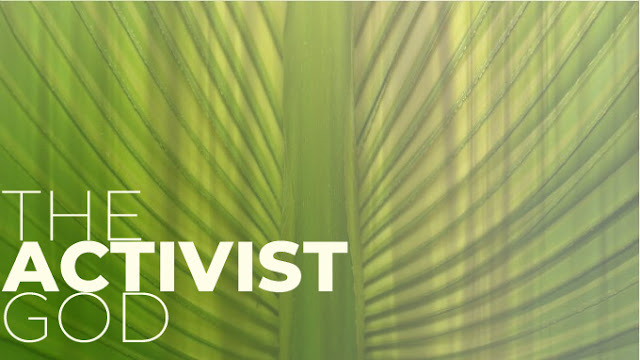 Jesus is calling us to be activists. Jesus is calling us to be ambassadors to those who have no advocates. Friends next week Thursday, April 18th we will be offered two wonderful opportunities. The first is an opportunity to walk, meditate, reflect on the Stations of the Cross (descriptions below). They will be set up in the Locust Hill fellowship hall from 10a-5:30p. Then at 6p we will have a Maundy Thursday/Tenebrae service. We begin by taking communion together and then we move into a Tenebrae service where we will hear the stories of Jesus' journey to the cross read. The Stations of the Cross is a Lenten devotion that offers witness to Jesus’ Passion and Death. At each station, we use our senses and our imagination to reflect prayerfully upon Jesus’ suffering, Death, and Resurrection, and to simply experience the visual images to reflect on Christ’s love for us. This practice began around the 11th century as a way of tracing the path that Jesus took toward the cross. Originally this practice was called “The Way of the Cross”. The church has continued this practice of spiritually mediating at each of these stations to reflect upon the journey. Locust Hill UMC gathers for worship each Sunday at 11a. * Sunday School at 10a. We hope you will join us for worship! 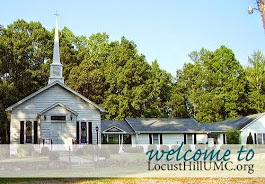 Locust Hill UMC. Picture Window theme. Powered by Blogger.